A family vacation experience within reach, our all-inclusive getaway is built to bring families closer together. Our guests gather to write their own stories and make new traditions. A place often called paradise, we guarantee your stay will be some of your favorite memories everlasting. Settle into your lodge room or cabin and prepare for your first riding lesson, then canter over to the Kitchen for lunch. Here, you’ll begin to see other travelers and seasoned riders or Greenhorns like yourself. Don’t forget to fill up your water bottle! Meet the wranglers and test your equine knowledge. Newbies need not fear, we’re going to make sure you know just what to do before you hit the trail. 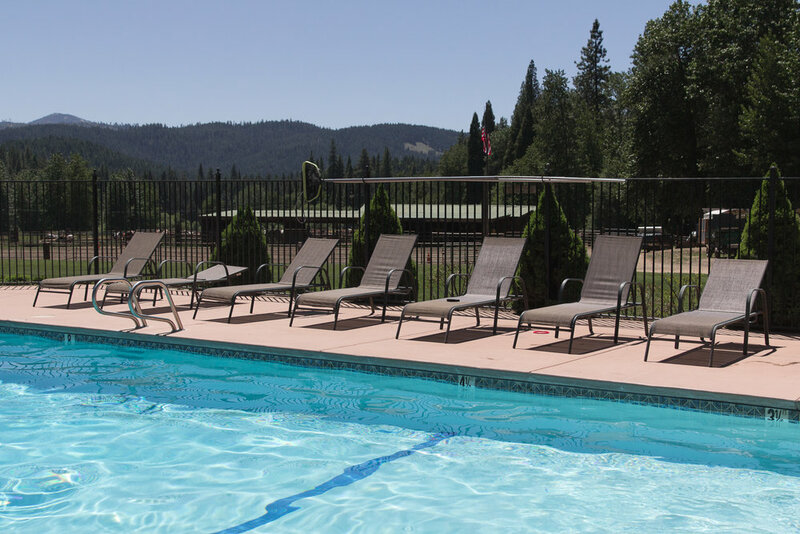 Explore the property and check out our weekly activity schedule to decide if you’ll skip a trail ride for a yoga class, if you’ll make it onto a mountain bike this trip, or when you might fit in some pool time to read your anticipated vacation novel. Return to the kitchen for a modest dinner with the ranch staff and fellow Greenhorns. Our seasoned chef is ready to accommodate your dietary needs. Every stay at the Greenhorn includes three meals per day. Grab a beer or try one of our signature cocktails and unwind before relaxing by the bonfire for s’mores under the stars. Cowboy Breakfast is served promptly from 7:00 - 9:00 a.m. daily. The wranglers and our staff have been hard at work to make your stay amazing for hours already and are ready to greet you over a cup of coffee with your favorite fixins, just tell us what you need so we can prepare your perfect morning routine. For the early risers, the morning trail ride is a great way to explore the adventure ahead for your stay. With thousands of miles of trail to explore, we will be sure to give you a taste of why the Lost Sierra is California’s best kept secret. Lunch is served daily. From world famous ranch burgers to house made dressing and a fresh salad, we have hearty meals to satisfy the weariest riders. Our swimming pool overlooks the arena and stables and is connected to our saloon and billiards room. The pool deck gives way to our sweeping lawn and sees sun most of the day. Steps away, you can dry off to play lawn games or watch the horses get saddled up for the next trail ride. 4:00 p.m. Load up for the Chuckwagon Dinner. 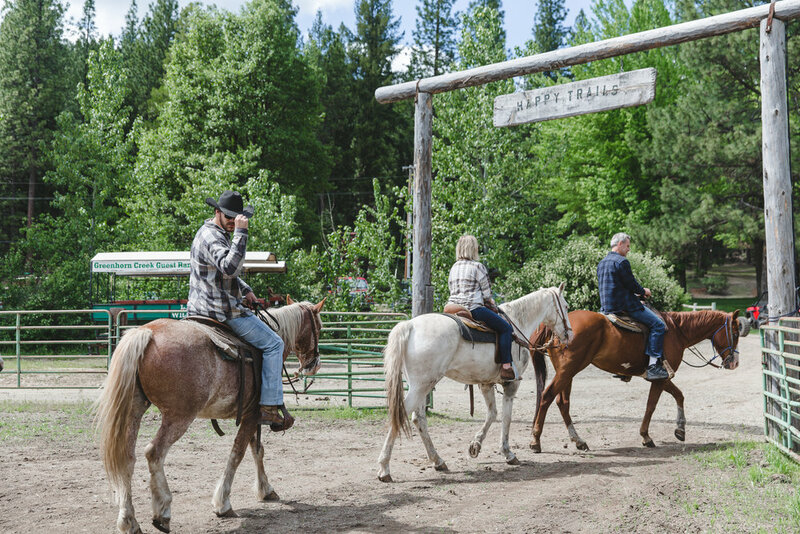 Get back in the saddle for a gorgeous trot to a trailside dinner prepared by our chef and staff in the woods only accessible by horseback or wagon. For those ready for a break from the saddle, you can load into the wagon. The chuckwagon dinner brings our guests together. Generations of friends have communed under the canopy of firs and pines creekside for this famous Greenhorn tradition. Turn in, stop by the saloon, roast s’mores or go to bed. Greenhorn’s choice! Grab your partner and find a trail to tour on your own time, by foot or by bike. We have thousands of miles of trail for your personal explorations. Explore the Lost Sierra’s rich history and visit sites like the Railroad Museum and Beckwourth Museum in the nearby town of Portola. Hike and tour through the endless forests and surrounding wilderness areas such as the Lakes Basin and the Bucks Lake Wilderness Area. Make it back to the ranch in time to have a beer while playing lawn games just before dinner. Get up and at it to hone your skills on horseback with the morning trail ride. Take an archery lesson from our on-site bow-hunter, learn to shoot from our veteran sniper and wrangler, pick up a fishing pole and catch trout until your heart’s content. Choose your own adventure at the ranch between trail rides and hosted experiences. Brush off your boots for some good old fashioned Western fun today. A trailside lunch cookout gets the whole crew out a bit earlier for the middle of the week. We ride back in time to relax and enjoy the Greenhorn Rodeo Games - a long-time favorite among our repeat guests.